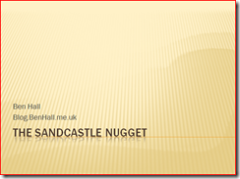 NxtGenUG – Mind your TABLE manners! Tonight I attended a NxtGenUG meeting with Dave Sussman giving his talk on CSS 101, focusing on using CSS instead of tables for your layout. Personally, I trend to use tables for layout and CSS for everything else, however Dave’s talk definitely opened my eyes on how CSS, I wasn’t even aware that it improved your bandwidth usage. Seeing the CSS adapters was good as I haven’t looked at these before and some of his points on CSS and Forms was interesting as this is my major bug-bear with CSS. I still have some issues with CSS where it seems to produce some unexplainable actions (unexplainable to me anyway, but i’m really not a CSS guru). The talk was really interesting and Dave is a good speaker so was an enjoyable session. Rich gave a nugget on the Hawkeye tool which is a cool app for your toolkit. Really pleased Rich showed it’s real power of enabling buttons which shouldn’t be enabled. 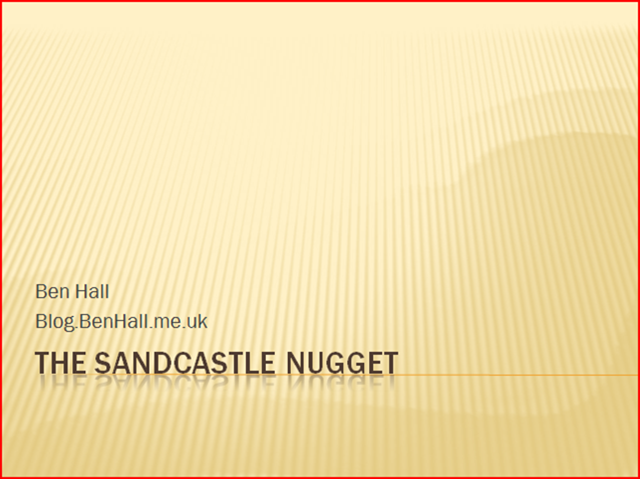 I also gave “The Sandcastle Nugget” about Sandcastle, DocProject and GhostDoc. I think it kinda went alright. Nothing went wrong, but there where one or two things which I wanted to mention but forgot – any maybe went a bit quick. I really need to record myself and play it back and maybe some ‘expert’ coaching. A good night all round, there was also new chairs/sofas which were really comfortable! Cheers guys. Previous Previous post: Linq to SQL – DataLoadOptions – Does it improve performance?